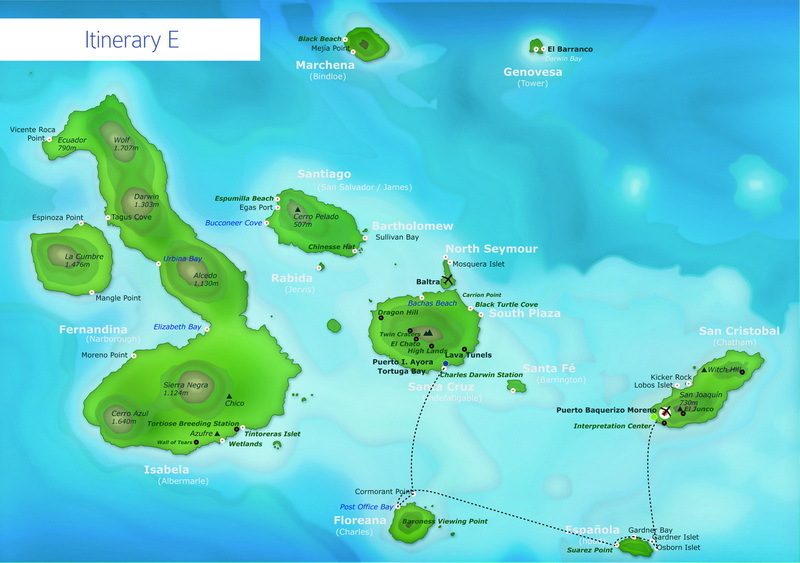 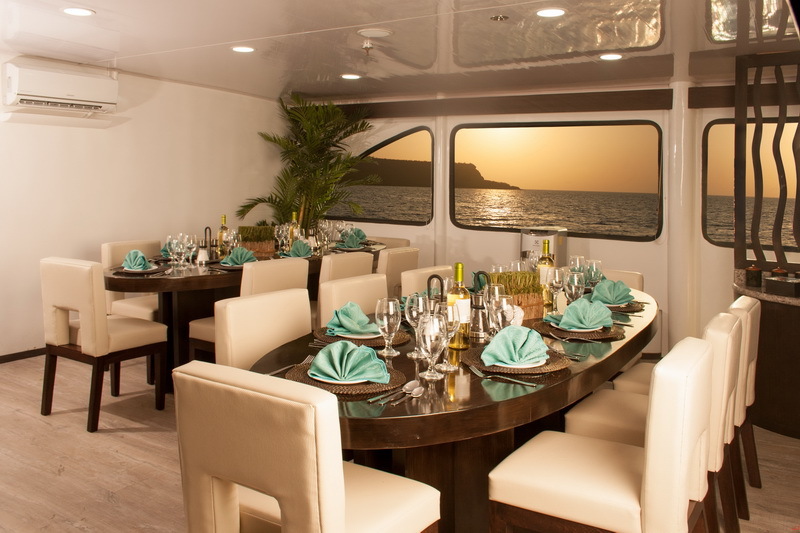 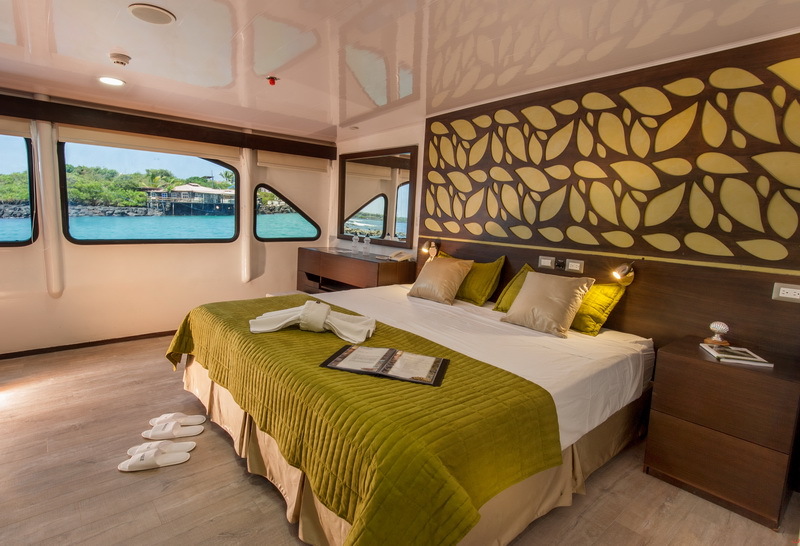 On board this comfortable and new catamaran, we will present you with a once-in-a-lifetime Galapagos cruise! 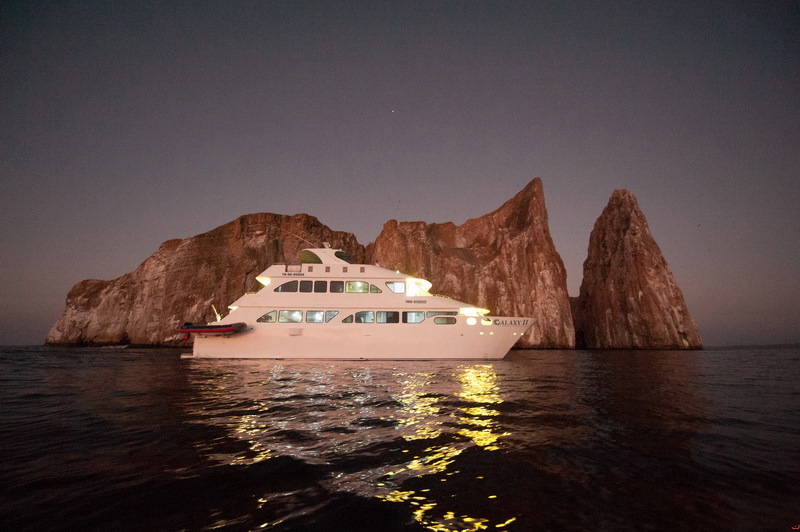 You will have the opportunity to enjoy the best that the Galapagos Islands have to offer, with fun days, a great educational experience, a leisurely excursion with lots of adventure; all of this presented to you with our unmatched high quality service, delicious food, knowledgeable and helpful guides and professional crew. 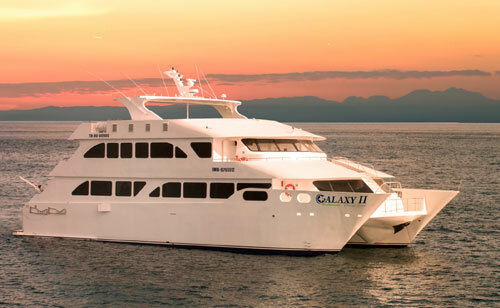 One of the main characteristics of this catamaran is that was built based on ecological parameters; propose: reduce the negative environmental impact of tourism: Lower fuel consumption of all the first class vessels of 16 passengers; Reuse water, once it has been treated, we will use it to wash external side of the cruise; Energy Savings, through use of LED lamps and bulbs; In construction, minimum use of wood; Our food is prepared with locally grown products, supporting the island’s local population; Every 3 months: training to our staff in: Customer service, conservation of the islands, species invasion; Use water saving faucets in entire yacht; Our cleaning and bath products are biodegradable; Use of non-toxic refrigerants; Support to local foundations and schools. 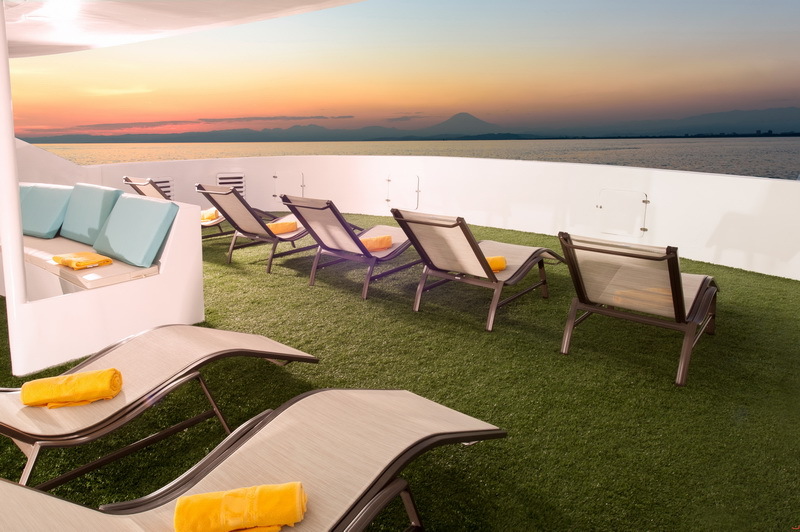 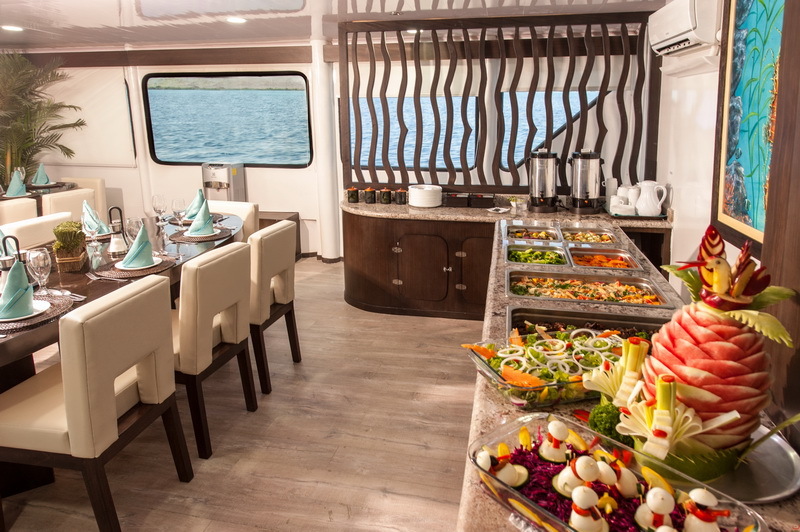 Enjoy our upgraded, modern social areas: Library, DVD service, dining room, bar with a variety of drinks and sundeck. 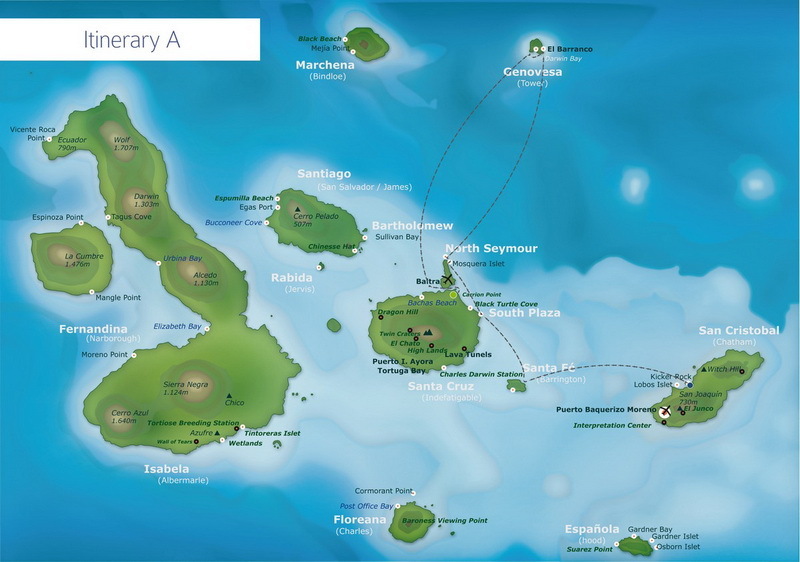 Our complete itineraries are developed for the benefit of our passengers, who will have the opportunity to combine hiking, snorkeling, beach and kayaking; our professional guides will introduce you to the most relevant sites on each island. 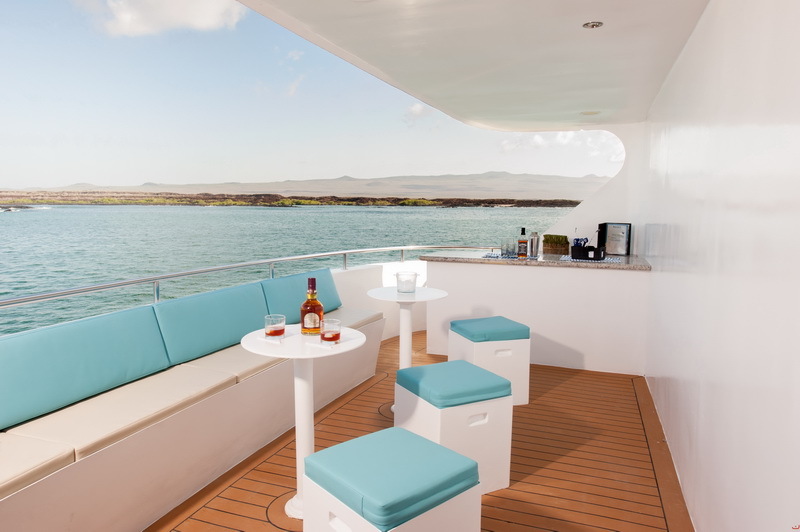 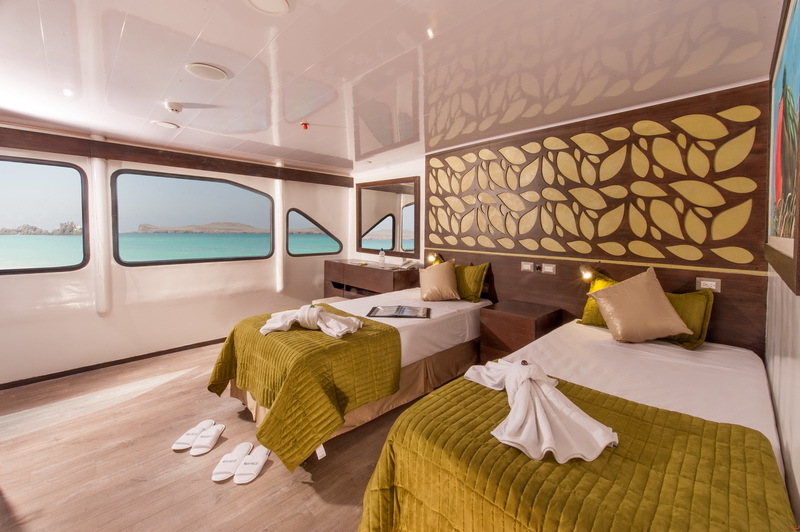 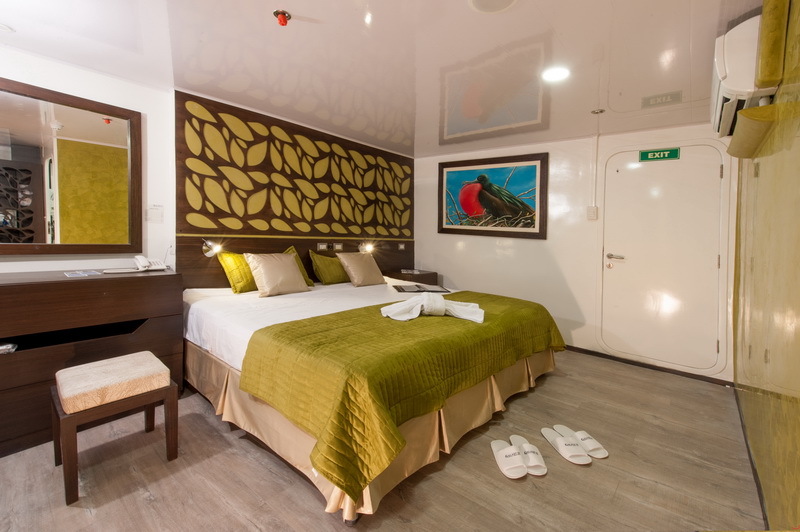 This wonderful catamaran offers 8 double cabins: 4 located in Upper Deck and 4 in the main deck; the Upper cabins are able to be connecting between them. 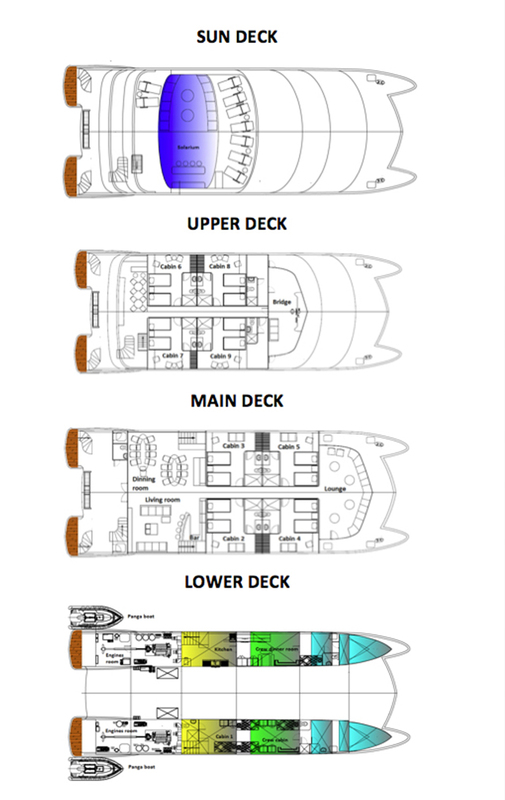 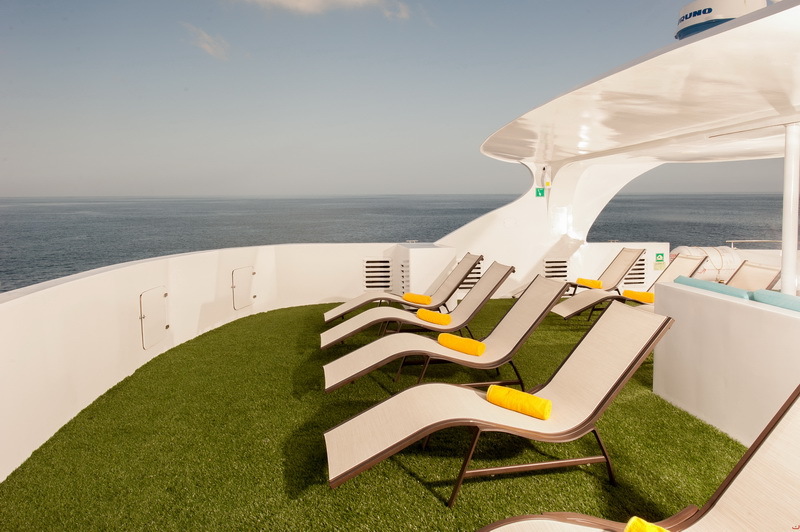 Additionally, all cabins can be twin or matrimonial. 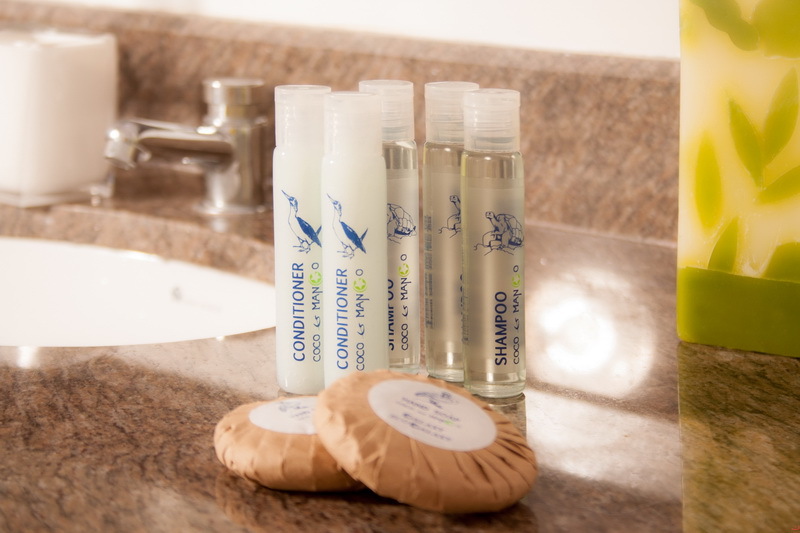 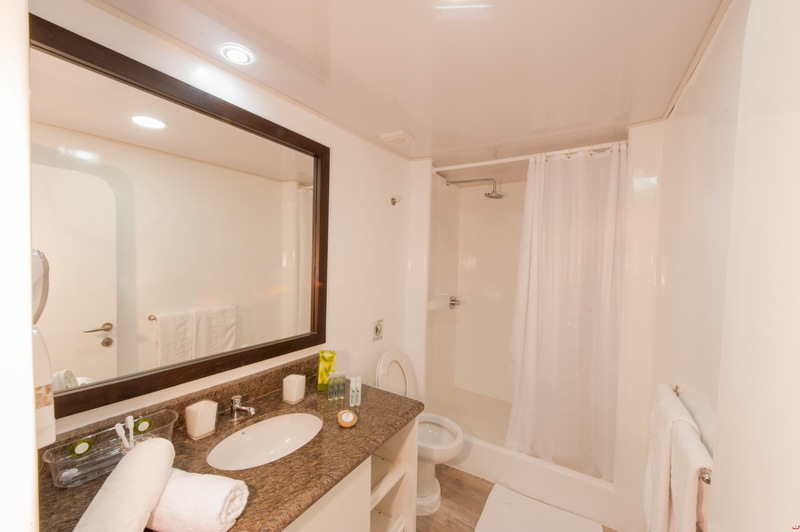 Private facilities in each cabin: private bathrooms, cold / hot water; air conditioned, hair dryer, telephone for internal communication on board, safe box, and high speaker.